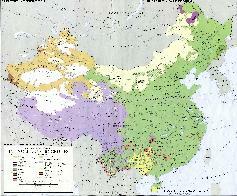 The Kirgiz Ethnic Minority is the 31st Ethnic Minority Group in China (P.R.C. ), being granted Minority Status in the 1950's AD. Today's Kirghiz in China have seen rapid modernizations, a boom in tourism and exterior contacts on the Karakoram and other roads and the Region, and lately - a lul in the economy due to it's notoriety as a troubled Region and a base for Islamic Militants. In reality however, the Region -although- rugged, is remarkably beautiful, full of natural wonders, and its people are usually friendly and welcoming. A small section of the population across the border is less open to outsiders. Although proud of their traditions, among the tribal peoples on both sides of the border many have adopted modern ways, including a career in tourism, holiday and entertainment industries (mainly rock climbing, mountaineering, but also Camel rides and cultural tours). KIRGIZ ETHNIC MINORITY IN CHINA (Main Page). The Arms deliveries through the narrow mountain corridor did not last long, however. In response to the outside meddling, the Russian Invasion force cut traffic from Afghanistan into the Wakhan Corridor, and not much later the whole Wakhan Corridor was signed over in a treaty to become part of the Soviet Union itself. In the long years of the succeeding war for Afghanistan Soviet Forces tried to push the Kirghiz and other Ethnic Tribes out of the Wakhan Corridor and into Pakistan's Tribal Frontier Regions in an effort to put a final halt to Arms supplies from China and the West. In North and North-West Pakistan camps were flooded with new refugees, especially Uyghur and Kirghiz, laying the foundations for current instability in the Karakoram and Pamir Mountains. At a later stage the Soviet Army built small helicopter pads, support bases and mountainside bunkers along the Wakhan Corridor keeping an eye on any possible Chinese (and American) deliveries and other disagreeable activities. In the summer season a garrison of 1500 to 2000 Men guarded the Pass. 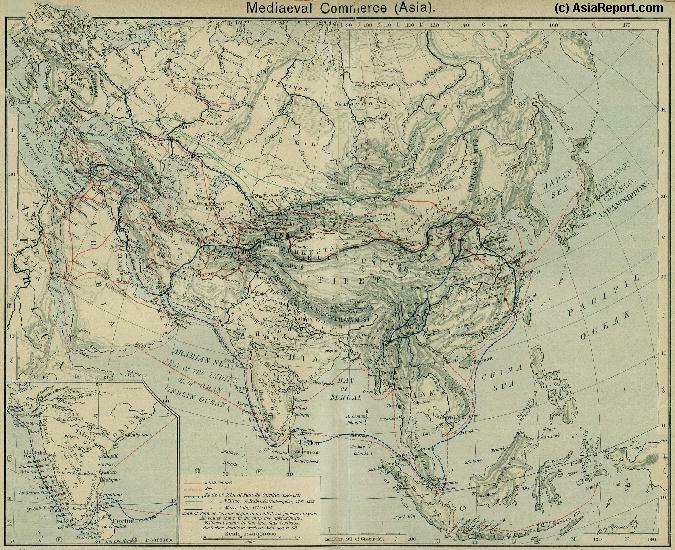 Thus, another focus of the struggle for control over these remote but strategic mountain regions became the Karakoram Highway (KKH), a section of the Silk Road passing through the high mountains due South-West of Kashgar and the path traveled by Marco Polo in the 10Th Century. However, the actions taken by Soviet Union forces to counter the threat suggests that substantially more was going on. I didn't do anything ..
Much later in 1980 and 1981 AD, the Kirghiz homelands near Kashgar became the focus of Chinese efforts to counter the Soviet Invasion of Afghanistan. 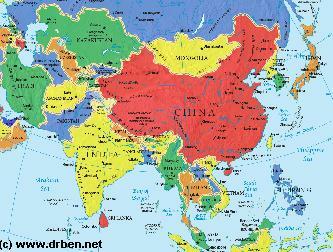 In secret cooperation with the United States Government China (P.R.C.) was supplying arms to the emerging "Mujahideen" resistance in Afghanistan and later across its border to the Tribal Regions of Pakistan's western frontier, which served as a base for various Tribal and Islamic resistance groups fighting the Soviet Army in Afghan Territory. At the time the Afghan Jihad began, the Wakhan Corridor which leads into Afghanistan counted some 3000 inhabitants which were all Muslim Kirghiz tribesmen. The Kirghiz in this entire Region are ethnically affiliated with the people of the then Kirghiz Soviet Republic, now independent Kyrgyzstan. These hardy mountain people have a semi-nomadic tradition but also have occasional trade and other contacts with the Kirghiz and Uighur people in the surrounding Area's of Xinjiang-Uyghur Autonomous Region of China. Hence, they played a pivotal role when during the 1980's the Wakhan corridor suddenly became a busily traveled route where heavy army vehicles navigated steep gorges, secretely delivering shipments of Chinese produced arms into Afghan Territories. The ancestors of the Chinese Kirgiz minority, the Jiancun People, lived on the upper reaches of the Yenisey River. In fact, the ancient Kirgiz people are an amalgamation of the Qidan, Turki, Mongolian and Uygur peoples who during the mid-sixth century AD fell under the rule of the Turkic Khanate. Eventually they became a new peoples, the Kirgiz tribe. After the Tang Dynasty (618 AD - 907 AD) defeated the Eastern Turkic Khanate, the Kirgiz came into contact with the dynasty and in the 7th century the Kirgiz land near the Yenisei River was officially included in China's territory. From the 7th to the 10th century, the Kirgiz had very frequent communications with the Han Chinese. Their musical instruments -- the drum, sheng (a reed pipe), bili (a bamboo instrument with a reed mouthpiece) and panling (a group of bells attached to a tambourine) -- showed that the Kirgiz had attained quite a high level of culture. According to ancient Yenisey inscriptions on stone tablets, after the Kirgiz developed a class society, there was a sharp polarization and class antagonism. Garments, food and housing showed marked differences in wealth and there were already words for "property," "occupant," "owner" and "slave." During the Liao and Song dynasties (916 AD - 1279 AD), the Kirgiz were recorded as "Xiajias" or "Xiajiaz". The Liao government established an office in the Xiajias area. In the late 12th century when Genghis Khan rose, Xiajias was recorded in Han books of history as "Qirjis" or "Jilijis," still living in the Yenisey River valley. From the Yuan Dynasty (1206 AD - 1368 AD) to the Ming Dynasty (1368 AD - 1644 AD), the Jilijis, though still mainly living by nomadic animal husbandry, had emigrated from the upper Yenisey to the Tianshan Mountains and become one of the most populous Turkic-speaking tribal groups. After the 15th century, though there were still tribal distinctions, the Jilijis tribes in the Tianshan Mountains -now the border between China and several Nations, had become a unified entity. In the early Ching Dynasty (1644 AD - 1911 AD), the Kirgiz, who had remained in the upper Yenisey River reaches, emigrated to the Tianshan Mountains to live together with their kinfolk. 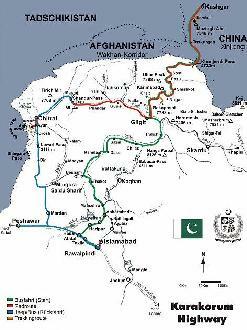 Many then moved over and through the Hindukush and Karakorum Mountains into Pakistan's North-West Frontier Region). Other Kirghiz ventured to find pastures more to the East crossing the current-day Border and ending up living near Kashgar and Aksu and in other regions within Xinjiang-Uyghur Autonomous Region. In 1758 AD and 1759 AD, the Sayak and Sarbagex tribes of Eastern Blut and the Edegena tribe of Western Blut, and 13 other tribes -- a total of 200,000 -- entered the Issyk Kul pastoral area and asked to be subjected to the Qing Imperial Throne. The Kirgiz played a major role with their courage, bravery and patriotism in the defense of modern China against foreign aggression, mainly against Russian and Soviet Imperialism. The Kirgiz and Kazaks assisted the Ching government and in its efforts to crush the rebellion by the nobility of Dzungaria and the Senior and Junior Khawaja, the so called Dzungar Rebellions (See History of Islam in China - Islam during the Ching Dynasty). They resisted assaults by the rebellious Yukub Beg in 1864 AD, and when Ching Imperial troops came to southern Xinjiang to fight Yukub Beg's army, the Kirgiz Horsemen gave them assistance. In 1933 AD a group of Swedish missionaries in Xinjiang who had converted a small number of local Kirgiz and Uzbek's were arrested and brought before Abdullah Khan. Christian Groups still assert that the Khan "personally kicked and beat" the Missionaries and that they were threatened with death. according to Christian activist sources most of the converted Kirgiz Christians were subsequently murdered and those who were not were imprisoned for many years. What happened to the Missionaries is kept unknown. However, under the pretext of "border security," the Kuomintang regime in 1944 AD ordered the closing of many pasturelands, depriving the Kirgiz herdsmen of their livelihood. As a result, the Puli Revolution broke out in what is now Tashkurgan Tajik Autonomous County and part of the Akto area, and formed a revolutionary government. This revolution, together with uprisings in Ili, Tacheng and Altay, shook the Kuomintang rule in Xinjiang. More than 7,000 people took part in the Puli Revolution, the majority being Kirgiz, Tajiks and Uygurs. As was given some public notoriety at the Time, over time, the whole region was turned into a virtual Arms Bazaar, providing the odd western tourist with the unusual sight of well supplied arms stores -selling machine guns, grenades, rocket launchers and other personal accessories sold of out of roadside tents. All this in an otherwise primitive and extremely remote, but beautiful landscape. Today, the Arms Bazaar's are no longer active, -certainly not within China (P.R.C.) - , however, more to the South-West, across the border along the trajectory of the Karakoram Highway troubles are still stirring. Not much after the failure of the Afghan War, the Soviet Union collapsed, leading to substantial shifts in powers within the much troubled region. The Soviet Union was out of the Game, Afghan and related Tribes had newly found confidence, and the region was awash in surplus war materials. Soundbonus : Modern Kirghiz Folk Song "Kiyabilirmiyim", by Gokce Kirgiz & Empre Altinel. surveillance. With the events of September 11, 2001 AD the Chinese finally received the political maneuvering space needed in order to crack down on the Islamic Separatist in Xinjiang and neutralize their threat. Some Uygurs (not Kirgiz!) ended up in Guantanamo Bay, delivered with Chinese Intelligence. Other have been sentenced to lengthy prison terms for separatism and terror acts, or were executed. In advance of and just prior to the Beijing 2008 Olympic Games there were some minor attacks, however otherwise the Chinese Separatists known as the East Turkestan Islamic Movement have not been heard of. The situation specific to the Kirgiz Minority in China however is unclear. At this Time (June 2009 AD) the Pakistani Government is battling it out with "Militants" in the Swat Valley, and in the Khyber Pass region unrest continues as several local groups demand the retreat of all Pakistani Government troops. Troubles will likely continue for years to come, making for a generally negative travel advisory for any region across the Border from Kashgar and Tashkurghan Tajik Autonomous County.